Knott has been a longtime member of the American Physical Therapy Association and the Nebraska Chapter. 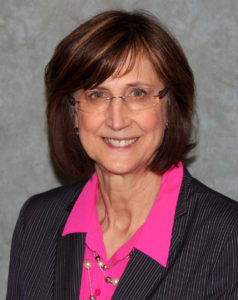 In 2015, Knott was awarded the Mary Ellen Sacksteder Award by the NPTA for her outstanding contributions to the advancement of physical therapy. “Grace has been a tremendous advocate for the physical therapy profession her entire career,” said Matt Oestmann, Vice President of Rehab & Post-Acute Services for Hillcrest Health Services. Knott is a graduate of Kansas University in physical therapy and has extensive experience in acute, skilled nursing and outpatient settings as both a clinician and a manager. Her passion is working with the older adult, especially in the areas of fall risk reduction, dementia care and optimal aging. She is a frequent lecturer for the Omaha “Tai Chi for Balance” community program and lectures in the area of dementia-related therapy services. In her role at Hillcrest, Knott leads the rehab directors in Hillcrest’s post-acute rehab facilities.